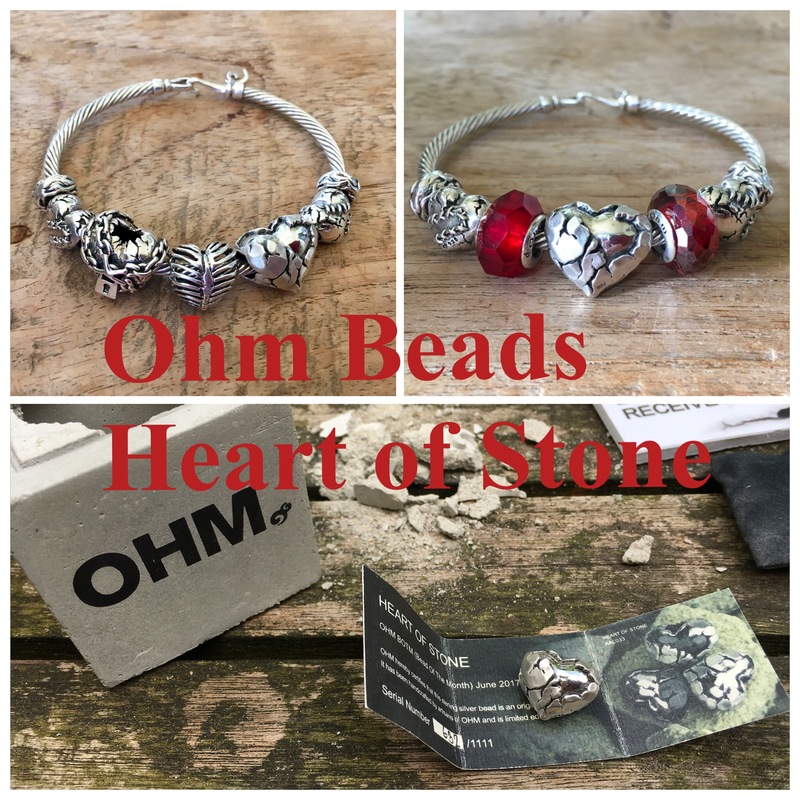 The next bead in the series Bead of the Month (botm) is Heart of Stone. 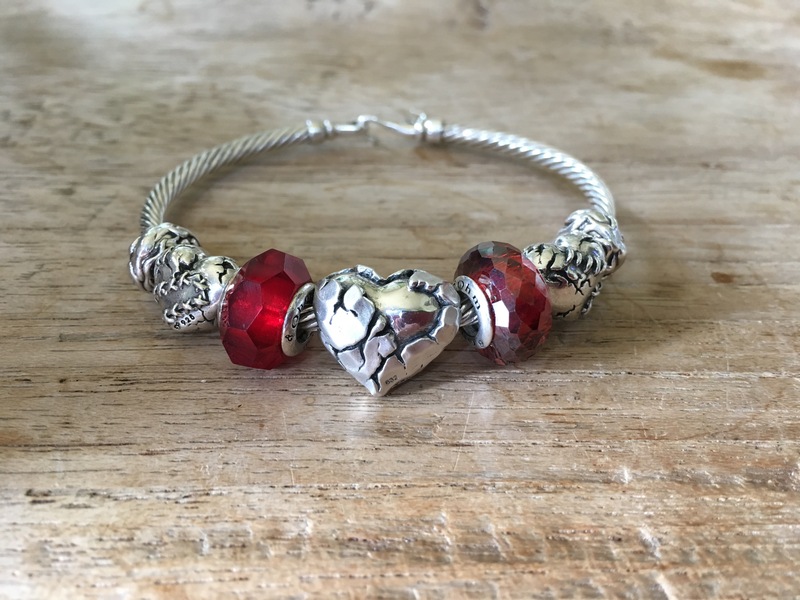 It is a release for Father’s Day, the story that goes with the bead is about a man that sold his heart. It turned into concrete, he was rich but could not love anymore and his family left him. The bead was much debated on social media, it was a blind ordering. No pictures of the bead were released, only pictures of the packiging. 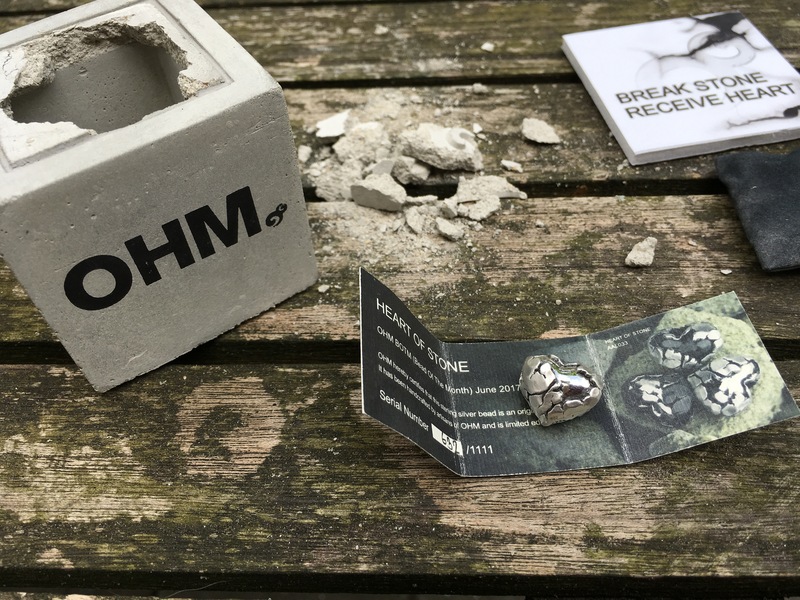 A block of concrete which had to be broken into to get the bead. It was a leap of faith to order and I did. Ohm beads suggested to make a video of the opening. It was fun to hammer away and opening the package! Pictures of the bead on social media already revealed three different finishes, dirty outside with shiny inside, mat outside with dirty inside and mat outside with shiny inside. So it still is a surprise what finish you are getting! I am very happy I got the mat/shiny finish, I am not a dirty girl! And now playtime could begin! 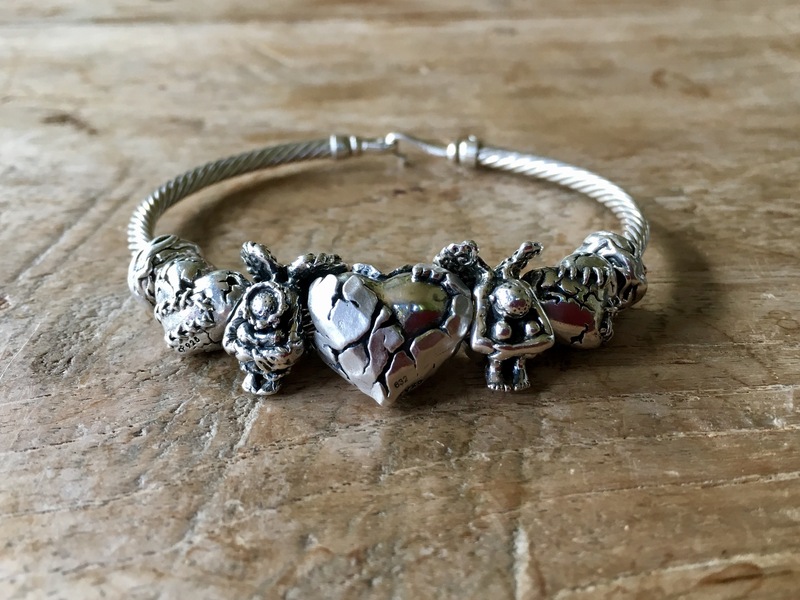 I couldn’t wait to put all my Ohm beads hearts together on a bracelet! From left to right: Love Hurts, Open your Heart, Love Cage, Heart of Stone and another Love Hurts! 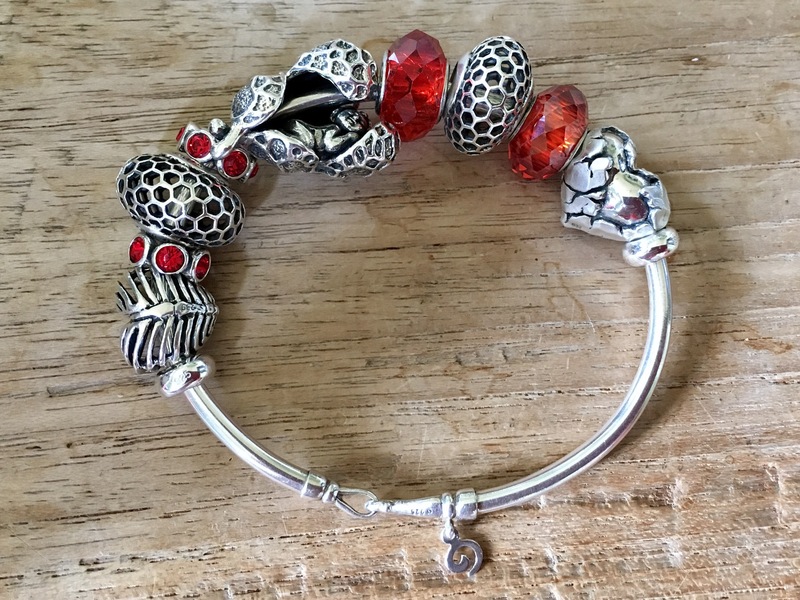 It also looks stunning on the Wings of Protection bangle. 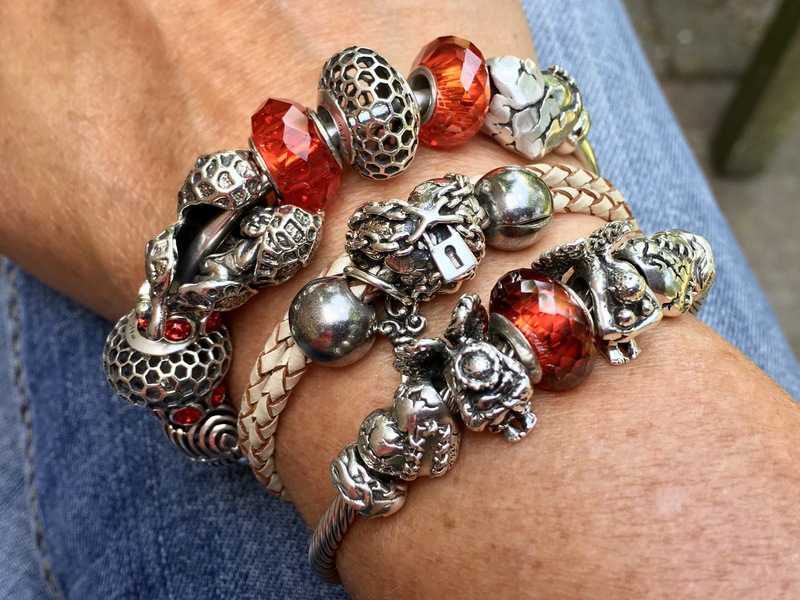 Big stack with hearts and angels. 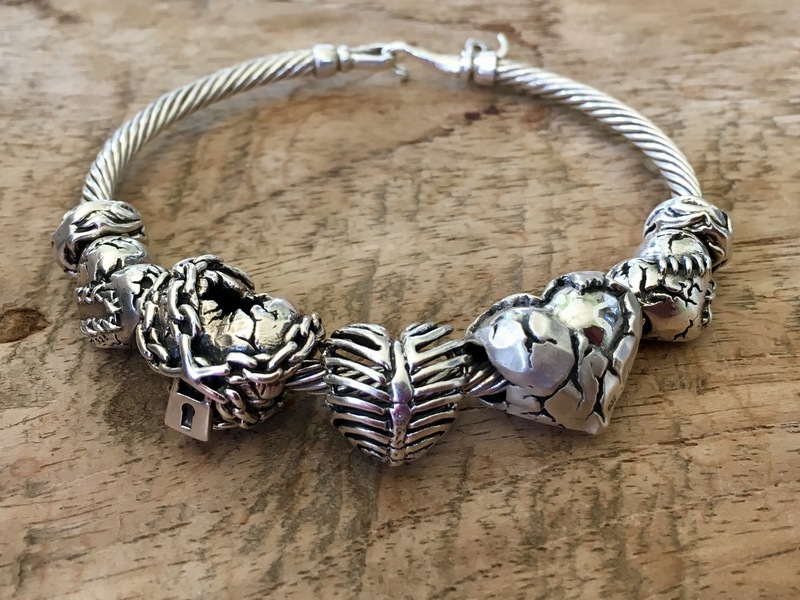 I am going to wear Heart of Stone on this bangle for now. I was struck by a very strong memory yesterday when I was driving to the store to pick up my Heart of Stone! I saw myself on my bicycle, on my way to pick up the next gem for my collection. I must have been 12 years old, the exact same excitement, the exact same mission! The gasstation three miles up the road released a new addition every month, put up a poster in the window. I then jumped on my bike and happily rode the distance to pick up the newest Smurf to add to my collection! What else is new! So I am proud to add this beautiful gem to my latest collection! 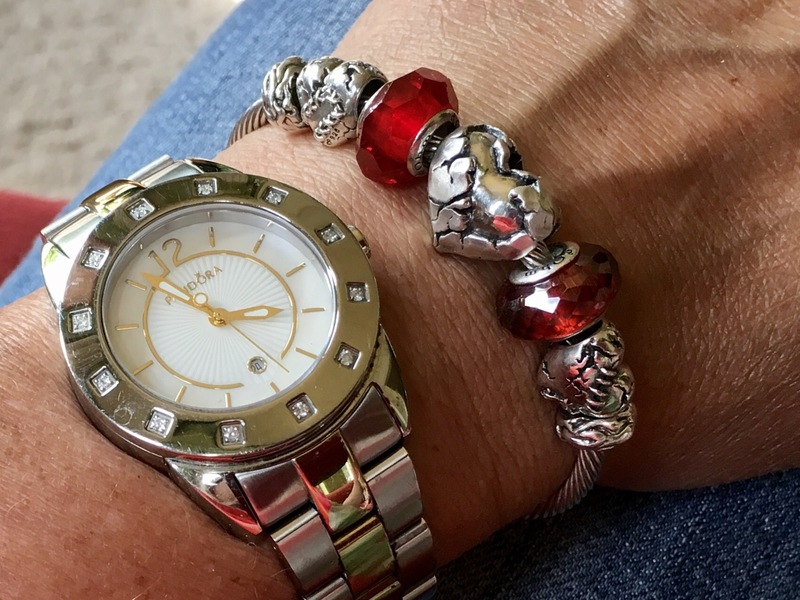 It looks great on your bangle!